Dhaka, 28 May, Abnews: Twelve more suspected drug traders were killed in reported gunfights early Monday as anti-narcotics crackdown continues across the country. Of them, two killed in Cumilla and Pirojpur respectively and one each in Dhaka, Natore, Pabna and Chandpur. Besides, two drug traders in Satkhira and one each in Jhenidah and Munshiganj were killed in reported gunfights between two groups of drug traders. According to reports reaching the UNB news desk, a total of 105 people were killed in ‘gunfights’ across the country since May 12. In Cumilla, two suspected drug traders were killed in separate incidents of gunfights in Sadar Dakhshin and Debidwar upazilas early in the morning. Enamul Haque Dolon, 35, son of late Abdullah Bhuiyan Alias Babul Miah of Bhinglabari area, and accused in 12 drug cases, was killed in a reported gunfight with police at Bhinglabari Beribadh area of Debidwar upazila. Police recovered 10kg hemp, 100 Yaba tablets, one pipegun abd a cartridge from the spot. Besides, Nuru Miah, 55, son of late Abdul Ohab of Kalikapur area of Sadar Dakhshin upazila, and accused in 13 drug cases, was killed in another gunfight with police in Goliyarai area. Police recovered 40kg hemp, 1 pistol and bullet from the spot. In Pirojpur, a suspected drug trader, Wahiduzzaman Ohid, 50, hailing from Nesarabad upazila, accused in eight drug cases, was killed in a reported gunfight with police at Kourikhara village of Sadar upazila around 2am. police recovered one pipe gun, 175 Yaba tablets, 50gm hemp and four cartridges from the spot. Besides, Mizanur Rahman, 35, an accused in six cases, was killed in a reported gunfight with police at Gotichara village of Mathbaria upazila around 1:30am. Police recovered 2 kg hemp, 50 Yaba tablets and four sharp weapons from the spot, said Mostafa Swapan, additional superintendent of Mathbaria. Three policemen were also injured in the injured. In Dhaka, an unidentified drug trader was killed in a reported gunfight with members of Detective Branch (DB) of Police (west division) in Mirpur area of the capital. The DB team recovered a pistol and five thousand Yaba tablets from the spot, said SI Mizan of Rupnagar. 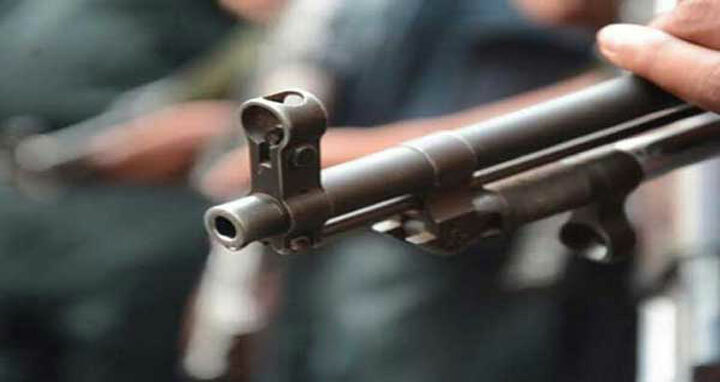 In Natore, a suspected drug trader, Khalekuddin,was killed in a reported gunfight with members of Rapid Action Battalion (Rab) at Baghnagarkandi in Singra upazila around 2am. Police recovered several drugs, one pistol and some bullets from the spot. Two Rab men were injured in the incident. In Pabna, Ejjat Ali Pramanik, 28, an accused in 14 cases, including that of murder, robbery, abduction and extortion, was killed in a reported gunfight with police at Teghori Mahalla in Bera municipal area around 1:30am. Zihadul Kabir, superintendent of Pabna Police, said police recovered a local shutter gun, four bullets and some drugs from the spot. Five policemen were injured in the incident. In Chandpur, a suspected drug trader, Abu Sayeed Badsha alias Lal Badsha, 45, son of Absur Rashid, of Purba Gobindopur village in Faridganj upazila was killed in a reported gunfight with police at Boichatoli around 2am. Shah Alam, officer-in-charge of Faridganj Police Station, said police recovered 111 Yaba tablets, a one-barrel pistol, three crude bombs and four bullets from the spot adding that Badsha was an accused in 10 cases with different police stations. Four policemen were injured in the gunfight. In Satkhira, police recovered bullet-riddle bodies of two suspected drug traders from Bankal-Agunpur area at Alipur union in Sadar upazila around 7am. One of the deceased was identified as Khalilur Rahman Puti, 35, son of Azgar Ali, of Bhomra village. Prabir Kumar Das, sub-inspector ofSadar Police Station, said that on information, a team of police recovered the bodies from the area. They also recovered a one shooter gun, one bullet, a bottle of liquor and 105 bottles of Phensidyl. The SI said the drug traders might have been killed in a gunfight between two groups of drug traders over sharing drug money. In Jhenidah, Farid, 27, son of late Mohammad Ali of Paglakanai in the district town, and also an accused in nine drug cases, was killed in a reported gunfight between two groups of drug traders at Jar village around 1pm. Emdadul Haque Sheikh, officer-in-charge of Sadar Police Station, said on information about a gunfight between the groups, a petrol team reached the spot. Sensing the presence of law enforcers, the drug traders fled the scene. Later, police recovered the bullet-hit body from the spot. Besides, police recovered a foreign pistol and 20 bottles of Phensidyl.